Winter is still very much present but now’s the time to start thinking about the garden and how to improve on last year’s lot. 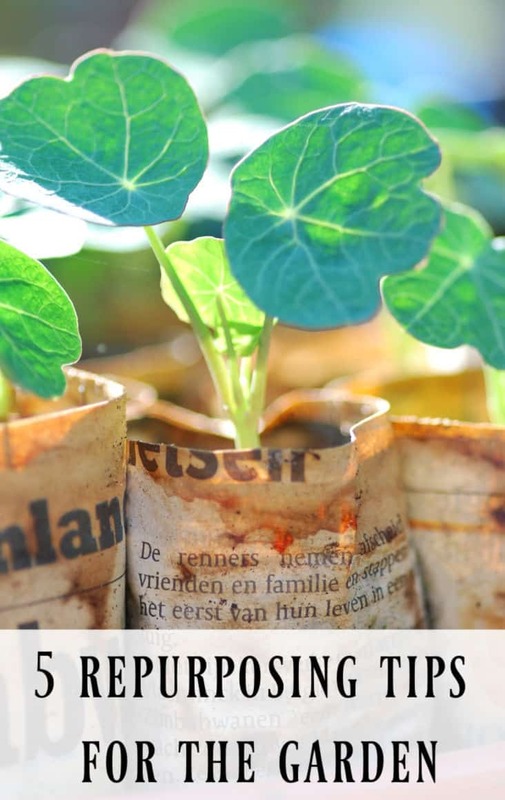 One of the ways is through repurposing household items for nurturing and cultivating your plants. That said our daily lives are goldmines filled with objects from food to products and packaging to choose from. It just takes a good eye, a keen sense of what is needed, and some effort to start setting aside a few things for the growing campaign. Years ago I used to dump a bunch of seeds in a level container, water it, and when the sprouts were big enough transplant the small jungle into those single cell plastic trays purchased at any hardware store. The trays cost a few dollars and although I’ve reused some from season to season they had a tendency to crack and break over time. Then I discovered cardboard egg cartons are the perfect substitute because they are just the right size for seedlings. Also, when it’s time to put the little sprouts in a bigger pot or directly in the ground cardboard egg cartons break apart nicely and can be placed directly in soil where they will eventually biodegrade. Also made of cardboard the one and two liter sizes are great for transplanting from the egg carton cells and they easily biodegrade. Just remember to wash them out well so they won’t attract bugs while being stored. Alternatively, if you purchase drinks in plastic containers they make sturdy options for those seedlings as well. Either way there’s no need to buy new pots, many of which are manufactured from non-recyclable plastic. Reusing soda/water bottles is a great way to reuse safer plastics. Although these items fall into a similar category as juice and milk boxes plastic soda bottles have another important use: they can help save water. In general water should be poured where a plant’s root are located but it happens very often that hoses and even watering cans drop a plant’s food elsewhere. To make your own DIY water conduit try this: Cut out the bottom of a one liter soda or water bottle; remove the cap and turn it up-side-down; slide a stick through the bottle sturdy enough to hold the bottle up vertically while stuck in the ground next to the base of a plant. When water is poured into the bottle it will enter from the cut open base and flow downward through the open spout directly towards the roots. It takes a little handiwork but in the end it’s a worthwhile contraption. Ok, these may be small but have an important use as markers. 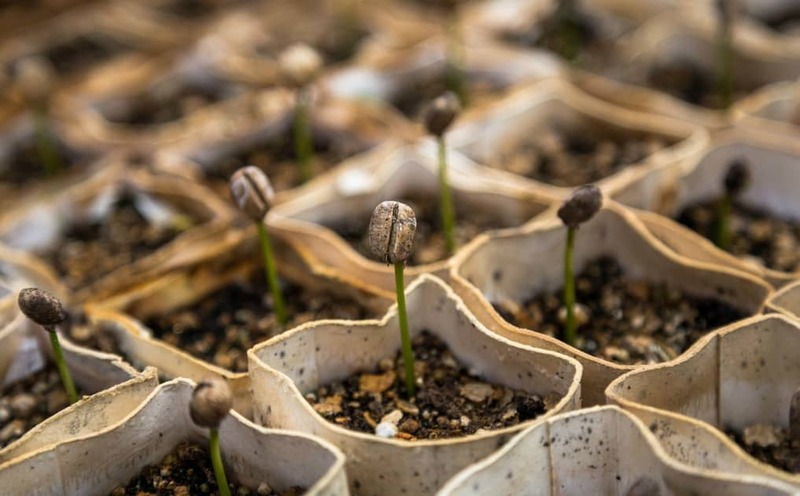 For example, although a lot people like to start gardens indoors sprouting seeds and transplanting, others simply drop the seeds in the ground and watch them grow. When doing the latter tooth picks are excellent for marking where seeds were inserted so it’s clear which came up and which didn’t. Waste for repurposing doesn’t only mean from manufactured products. It also includes scraps and peels from the food we eat. Having a bin for compost is an essential part of gardening. It produces natural nutrients better than any store bought product and will provide your plants with a healthier more robust life source. Jakob Barry is a home improvement journalist for Networx.com. He blogs for pros across the U.S. like Forth Worth, TX flooring contractors and Anaheim, CA fence companies. NextWhat is Vitamin D and Why Do We Need It?